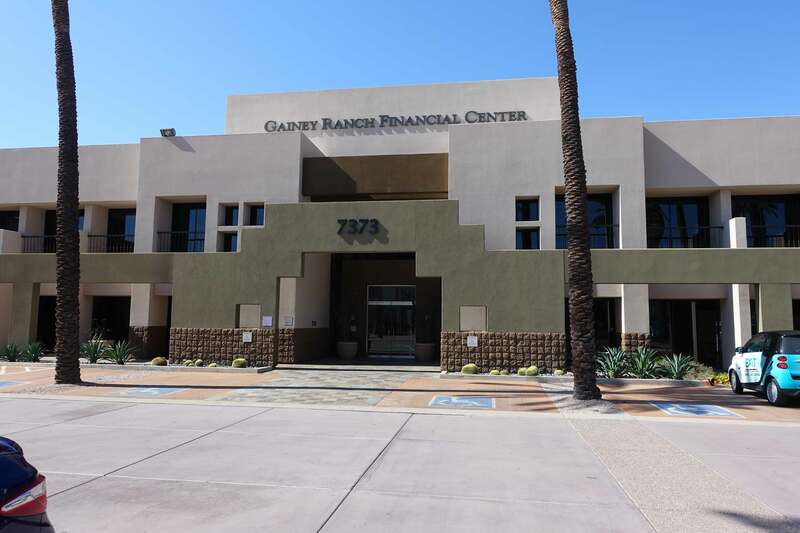 We are in the Gainey Ranch Financial Center, a two story office building on the south side of the National Bank building on the southeast corner of East Doubletree Ranch Road and Gainey Suites Drive in Scottsdale, Arizona. From Scottsdale Road go east on Doubletree Ranch Road to the first stop light at Gainey Suites Drive. Turn right (south) and then immediately turn left onto the Gainey Ranch Financial Center parking lot on the north side of 7373 E. Doubletree Ranch Road. If you are approaching our office from Route 101 exit at Via de Ventura and go west. Via de Ventura turns into East Doubletree Ranch Road when you cross Hayden Road. Continue west on East Doubletree Ranch Road until you reach the stop light at Gainey Suites Drive. 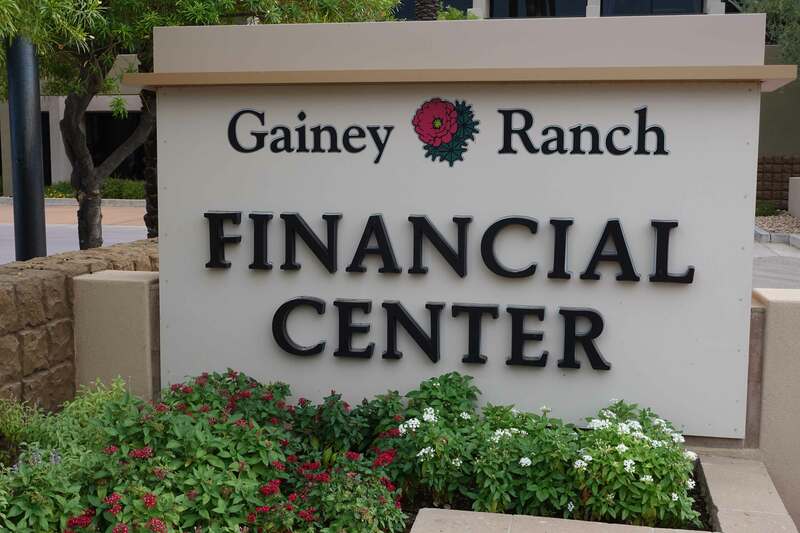 Turn left (south) at the light onto Gainey Suites Drive and then turn left immediately onto the Gainey Ranch Financial Center parking lot on the north side of 7373 E. Doubletree Ranch Road. Park any where in the front of the building. Enter the building through the main entrance on the north side of the building. Walk through the lobby. Turn left at the hallway to the left of the elevator. Go east in the hallway to the first office on the left (north side), which is Suite 165. Parking: There is plenty of parking on the north and south sides of the building.